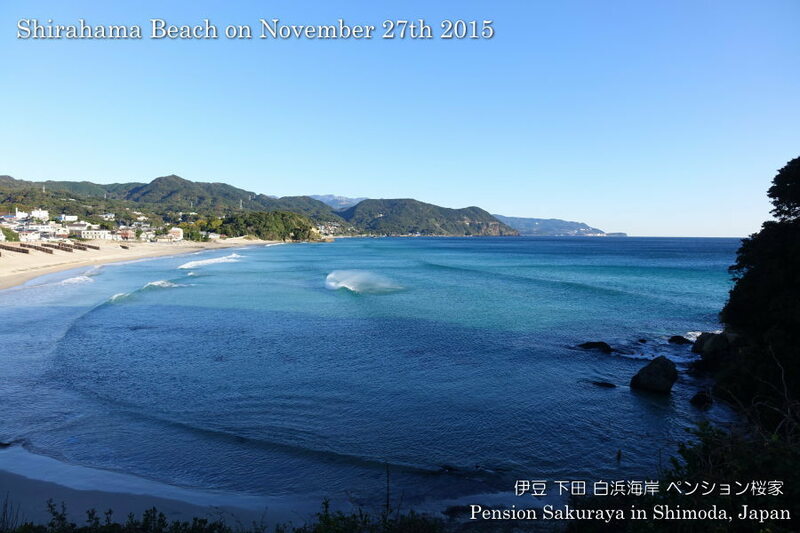 I walked on the seaside road this afternoon as usual. 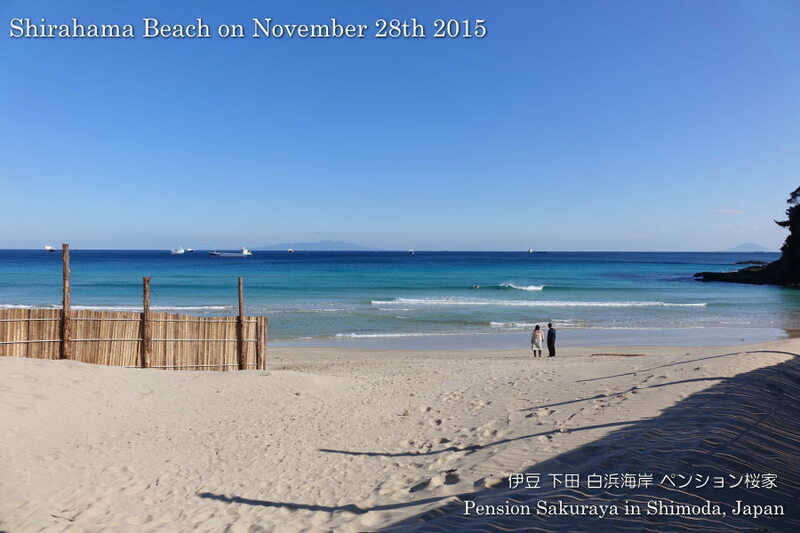 We didn’t have strong wind and it was very warm here in Shirahama today. 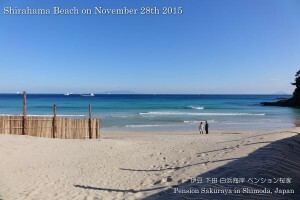 This entry was posted in beach on 2015年11月30日 by izusakuraya. The local community in Shirahama had beach cleaning this early morning. I wasn’t able to see the sunrise from the horizon, but I got a beautiful scenery with the sun this morning. This entry was posted in beach, nature, Sea on 2015年11月29日 by izusakuraya. 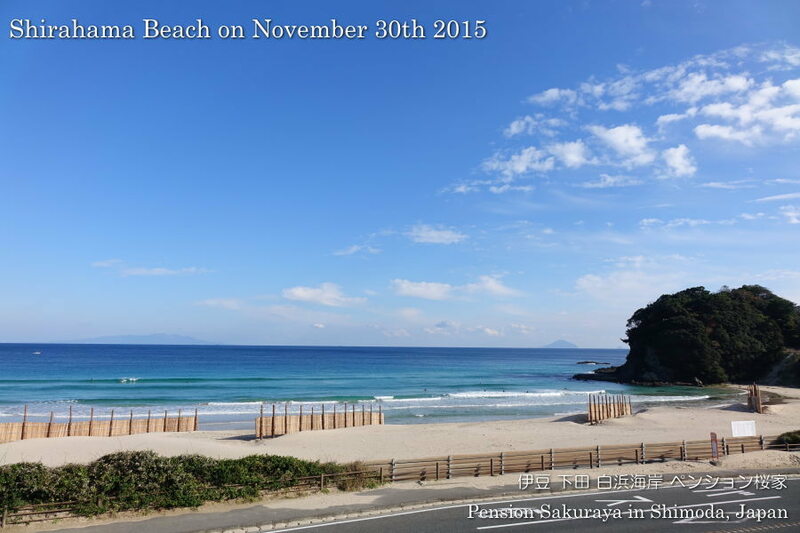 It was a perfect day to see the blue and clear water today. 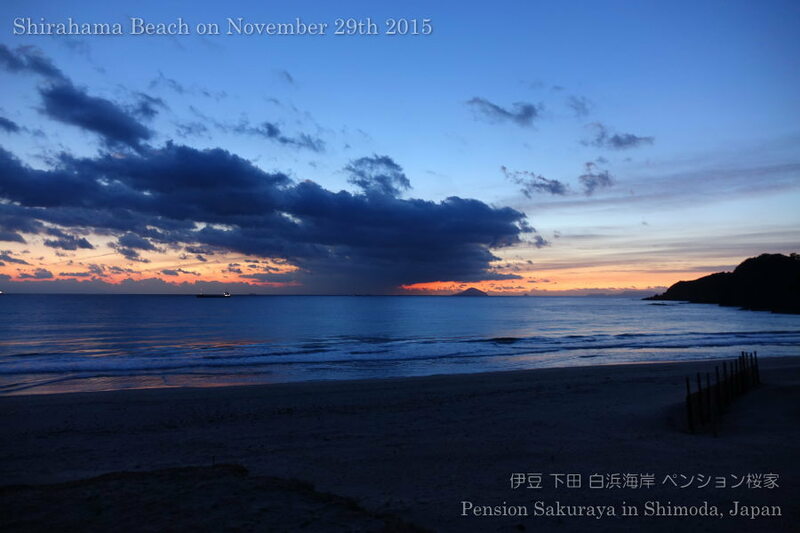 This entry was posted in beach, nature, Sea on 2015年11月28日 by izusakuraya. 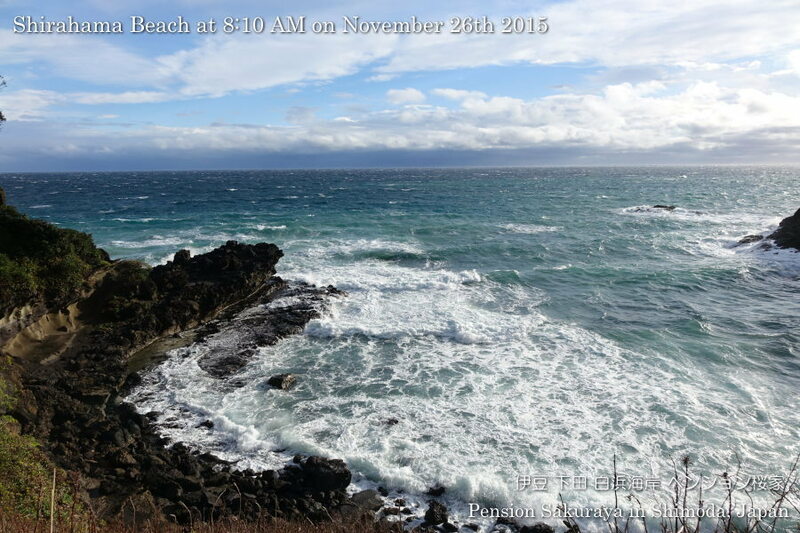 We had strong west wind, but it was very beautiful today. 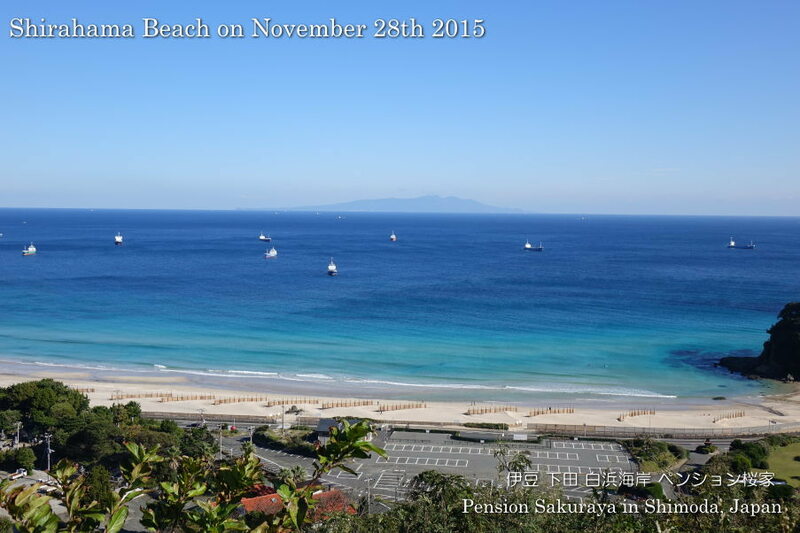 The air was clear by the wind and we were able to see Izu Oshima Island and Amagi mountains clearly. 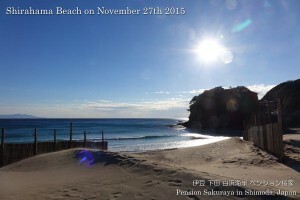 This entry was posted in beach, nature on 2015年11月27日 by izusakuraya. 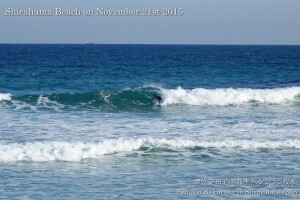 After I took my daughter to the school I took some pictures of the sea this morning. We still had strong north-east wind again and also the sea was still rough. The weather forecast says it will be very cold tomorrow morning. This entry was posted in beach, nature on 2015年11月26日 by izusakuraya. 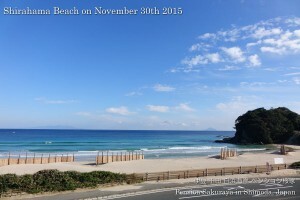 The blue sky came back. We didn’t have strong wind and it was very warm today. 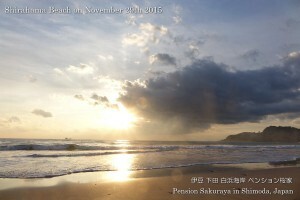 This entry was posted in 未分類 on 2015年11月21日 by izusakuraya. 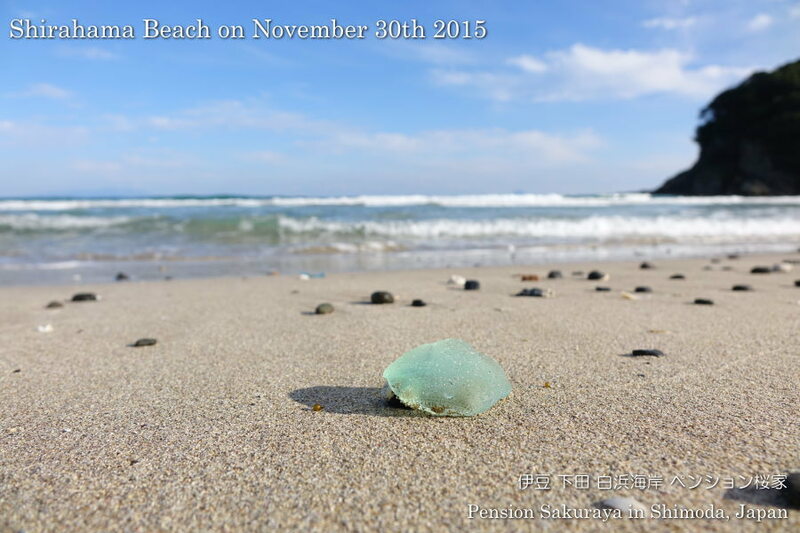 2015/11/03 Thank you for staying. 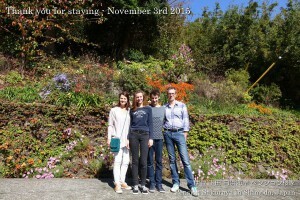 They are from France and have lived in Japan since 2 years ago. We are very happy to hear that their friends who have stayed with us recommended our hotel to them. 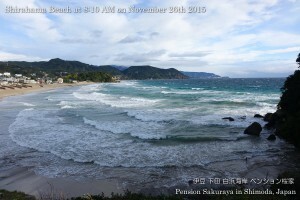 During their stay they walked on the Perry road, went to Onsen, and had dinner in Shimoda town. After checked out they went to Dogashima and drove back to Tokyo looking over Mr. Fuji. 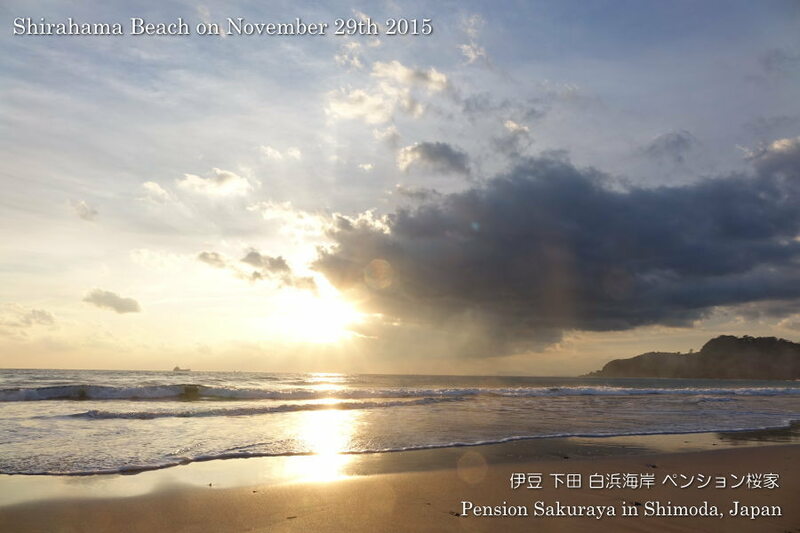 This entry was posted in Customers, Pension Sakuraya on 2015年11月3日 by izusakuraya.